Beginning with the International Day for Rural Women on October 15th, followed by Persons Day – the 88th anniversary of women being declared “persons” under the law on October 18th, and an explosion of conversation sparked by the #metoo hashtag, this week has been an important one for the status of women. We should all take a moment to reflect on how equality in our societies improves the lives of women and men alike. I took a moment to sit with the Famous Five and thank them silently for their contributions to our country. 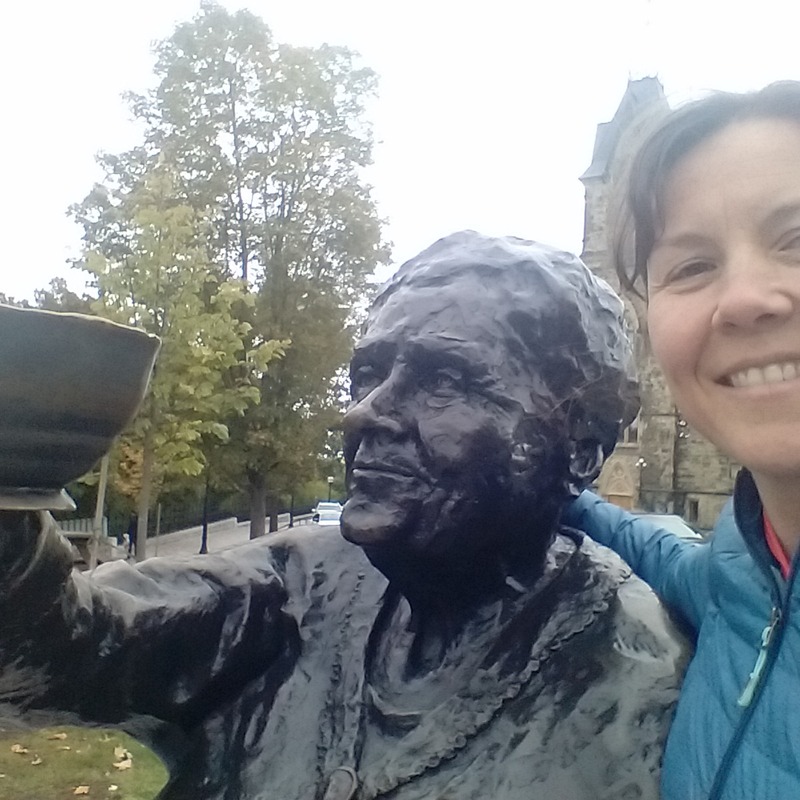 In this week of important historical dates and public conversation about women’s rights, Pfenning staff went to Ottawa. 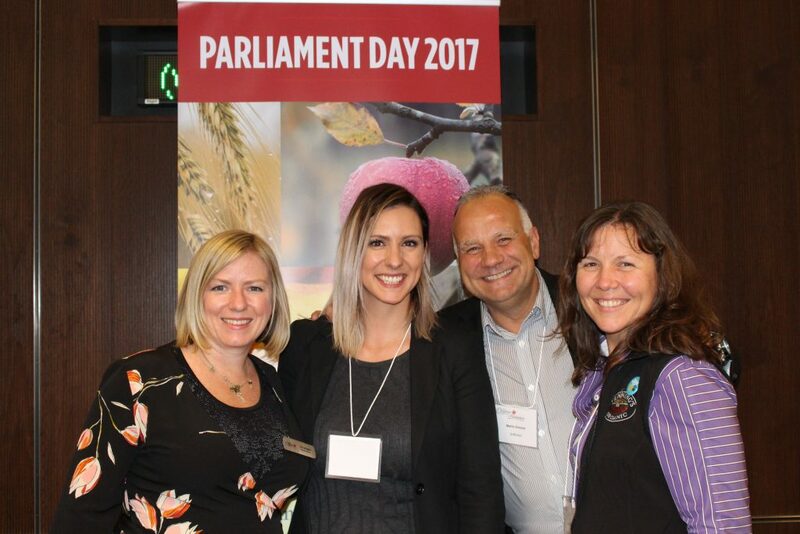 Glenn and I took part in the 7th Annual Hill Day event organised by the Canadian Organic Trade Association (COTA). I felt privileged to be in our capital for such a significant dates and to be engaging in conversations with Members of Parliament. We also had the opportunity to vote for new board members at the COTA AGM. We are very happy that Dag Falk (Nature’s Path) was re-elected and continues to serve as chair. It is also a pleasure to see a new face, James Sculthorpe (Yorkshire Valley) join the board. The organisation is in good hands with all the talented people on the board and the fantastic team of staff. Ready! 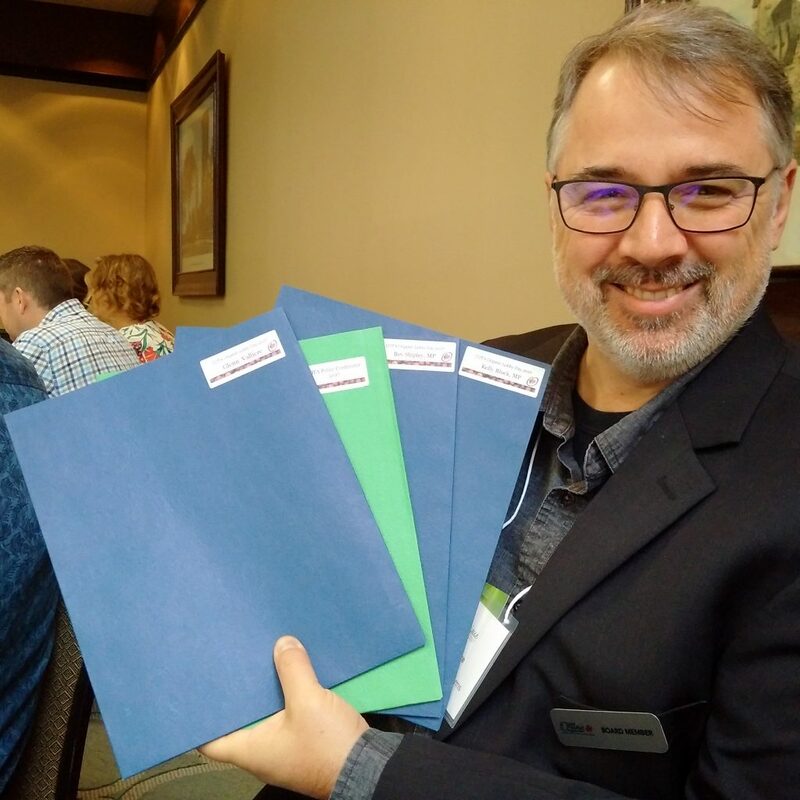 Glenn Valliere enthusiastically holds up the informative folders COTA staff prepared for everyone. 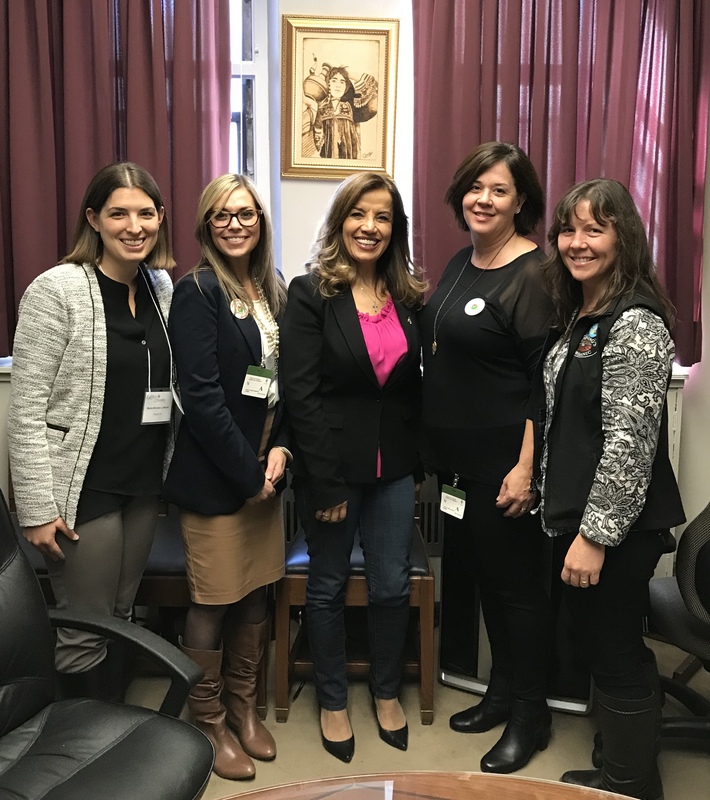 The COTA event included excellent presentations and productive discussions with organic stakeholders from across the country, a reception generously hosted by MP Ruth Ellen Brosseau and lots of direct meetings with other MPs. COTA’s Tia Loftsgard, MP Ruth Ellen Brosseau, Martin Emond (duBreton) and Jenn Pfenning at the reception. 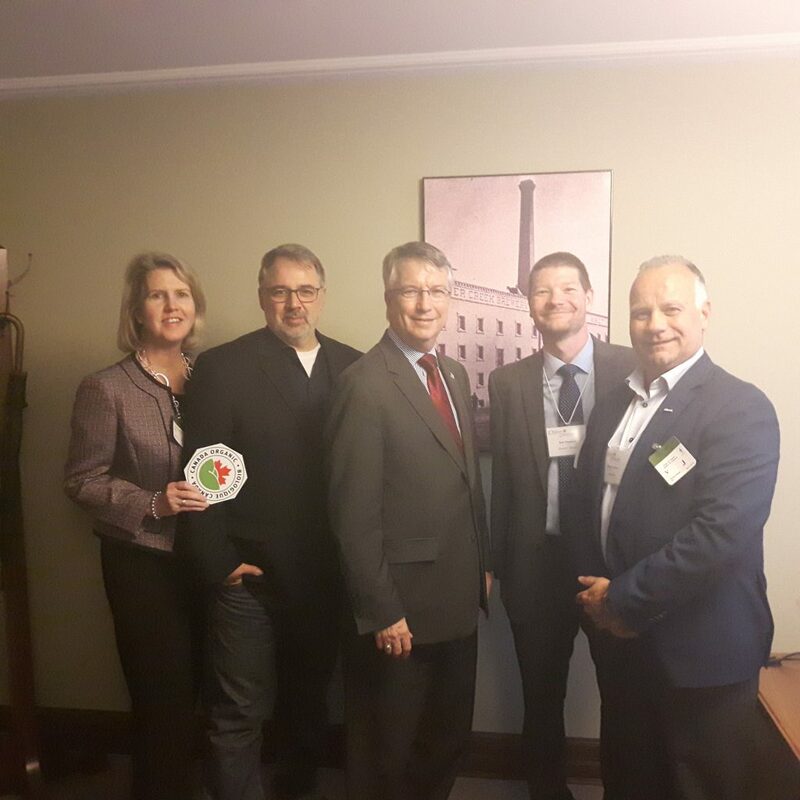 We extend a big thank you to all the Members of Parliament who took time out of their schedule to meet with us and hear our thoughts on the issues facing the Organic sector. One of the particular highlights for me was finding out that there are now three women on the Standing Committee on Agriculture and Agri-Food. I hope to see more women on the committee in the future. As far as I can tell this committee has never had so many women members before. MP Ruth Ellen Brosseau has been on the committee for a number of years and is one of the Vice Chairs. She is joined on the committee by MP Eva Nassif and MP Sylvie Bouchard. Around the globe women in agriculture carry so much much of the responsibility for food production that it is often said that women feed the world. In our own farm business, we are near gender parity overall and in fact many of the managerial positions are filled by women. It seems especially fitting that in a week full of meaningful dates for women’s rights in this country, our events were led by strong and accomplished women and men exemplifying the values of equality and working respectfully together.